Fats are a highly varied macronutrient group, and they're present in both animal and plant-derived foods. At nine calories per gram, fat is the most dense source of calories required by the human body. However, not all fats are created equally and it’s crucial to pay attention to which types of fat you include in your diet. Some fats are healthy, some are fairly neutral, while others are actively detrimental to your health. The War on Fat began in the late 1980s and ushered in an era of high-sugar, high-carb, low-fat, and fat-free snack foods. 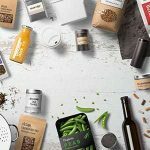 You might remember the resurgence of the Atkins Diet and the introduction of Mediterranean Diet books from the late 1990s that finally made dietary fat socially-acceptable and medically-recommended again. 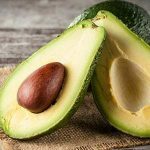 The truth is that a diet that includes the right kind of fat is not just beneficial, but downright critical to your health. Fats perform a number of duties in your body, such as helping absorb certain micronutrients and keeping your skin and hair healthy. The process of creating, storing, and using fat is how energy is kept in balance. Fats enable your body to absorb and hoard fat-soluble vitamins in the liver and fat tissue. Vitamins A, D, K, and beta-carotene typically have an absorption rate of about 80%, while vitamin E is absorbed at a rate of about 20%. In one study, vitamin D absorption increased simply by adding fat to the meal. When the fat content of the meal was 30% of the calorie count, the vitamin D3 absorption improved significantly. Fat is responsible for setting off basic metabolic processes that regulate growth, immune function, and reproductive development. If you’re trying to limit fat intake, obtain no less than 6% of your calories from fat to keep these systems functioning properly. At the other end of the spectrum, cap your fat intake at 20-35% of your total daily calories. Since fat contains more than twice the calories of protein or carbohydrates, excessive consumption can lead to weight gain. Most dietary fats are “triglycerides.” These are composed of three fatty acid hydrocarbon chains bonded to a glycerol backbone. During the digestive process, bile breaks down triglycerides in the small intestine so they can be absorbed into the bloodstream via the liver and either directed into cells for immediate use or sent to lipocytes (fat cells) to be stored and used later. When your body taps into its energy reserves, the first reserves used are carbohydrates, which are stored as branched chains of glycogen in the muscles and liver. Humans only store enough carbs to fuel about 20-30 minutes of vigorous activity. [3, 8] After that, your body switches its energy resource to fat reserves. Lipases are the enzymes that break down fat stores to release energy for mitochondria. The metabolism of fat is aerobic (it requires oxygen molecules) and occurs in the mitochondria. The metabolism of carbohydrates is anaerobic (it does not require oxygen) to release energy. In addition to providing a calorie-dense source of energy, visceral fat protects organs in the abdominal cavity from damage. Subcutaneous fat insulates the muscles and helps regulate body temperature. Dietary fat can be essential or non-essential. Essential fatty acids, like omega-6 (linoleic acid) and omega-3 (alpha-linoleic), cannot be produced by the human body — they need to be consumed. There are several subclassifications of these fats, like ALA and DHA, which are distinguished by their chemical structure. The body relies on essential fatty acids for blood clotting, neural development, and managing inflammation. Non-essential fatty acids are still important to the body but can be produced internally with the proper resources. Saturated fat is not essential in a nutritional sense but is important for hormone regulation in the body. Whether a fat is saturated or unsaturated depends on the number of the hydrogen atoms bonded to the carbon chain that makes up the triglyceride. If a fatty acid is saturated, there are no double bonds between the carbon atoms. The fatty acid chain is fully saturated with hydrogen atoms. If there are double bonds between two carbons in the chain, the fatty acid is either monounsaturated or polyunsaturated depending on the number of double bonds in the chain. Saturated fats are solid at room temperature because the hydrocarbon chains are closer together. These straight chains can stack together at the molecular level to become more viscous. Mono- and polyunsaturated fats are twisted or kinked at their double carbon bonds, preventing the chains from packing closely together. All naturally occurring classifications of fats are composed of a mixture of polyunsaturated, monounsaturated, and saturated fatty acids. The physical state of any fat at room temperature is determined by which type of fatty acid is the most prevalent. In olive oil, the dominant fatty acid is monounsaturated, so it is liquid at room temperature. Butter is primarily made up of saturated fatty acids, so it is solid at room temperature. Trans fats are the notorious fats that have been skewered in the media for the last decade, much to the ire of processed food manufacturers. In July 2015, US officials announced they would enact a nationwide ban on these dangerous fats that promote cardiovascular disease by raising LDL (bad) cholesterol and lowering HDL (good) cholesterol. 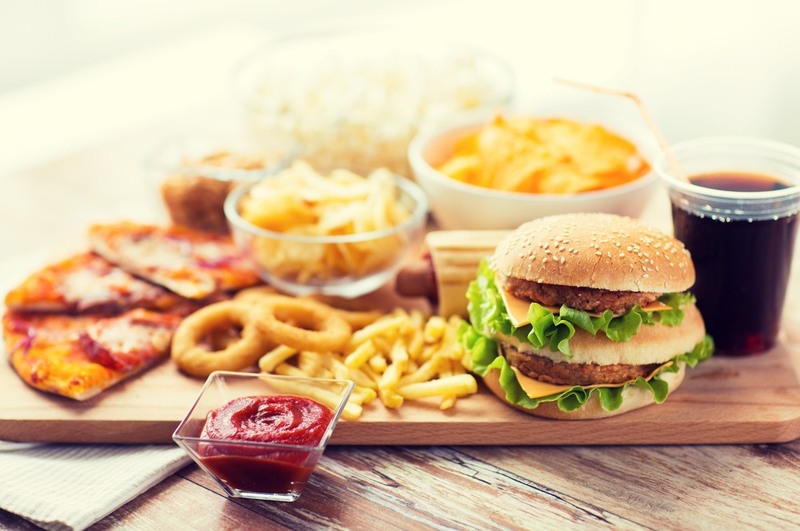 Trans fats are a product of hydrogenating the double-bonded carbon linkages in fatty acids so they become fully saturated with hydrogen atoms, turning once healthy fats into saturated fats. Hydrogenation increases the shelf life, palatability, and texture of processed food but contributes to cardiovascular disease. Trans fats are also found in tiny amounts in meat and dairy, but the amount is negligible. Trans fats are structurally different from ordinary saturated fat. They cause disease and should be avoided entirely. Saturated fats are primarily found in animal products like meat and dairy, but there a few plant-based sources such as palm kernel oil, coconut oil, and cocoa butter (chocolate fat). These fats are solid at room temperature. Although coconut oil and cocoa butter have redeeming qualities, saturated fat from animal products should be avoided as it can raise blood cholesterol and increase the risk heart disease and stroke. If you’re trying to prevent or slow the development of cardiovascular disease, it’s imperative to keep your total daily saturated fat calories to no more than 6%. Chocolate is unique in that most of its saturated fat comes from stearic acid, which is a fatty acid that actually reduces the risk of cardiovascular disease. If you do choose to include it in your diet, make sure the only fat in the ingredients is cocoa butter or stearic acid. Lower-quality chocolate usually includes milk fat or other saturated fats. Unsaturated fats are often described as healthy fats because they have the opposite effect of saturated fats. Unsaturated fats lower LDL cholesterol and raise HDL cholesterol. Consumption of these fats can reduce the risk of heart disease and stroke. Unsaturated fats are concentrated in the oils naturally found in fish, nuts, seeds, and some fatty fruits. They can be monounsaturated or polyunsaturated. Monounsaturated fatty acids are often promoted as “heart healthy” because they lower LDL cholesterol, reducing your risk of heart attack and stroke. The greatest concentrations are found in olive, sunflower, and safflower oil, as well as avocados and most nuts. The oils found in these sources also provide vitamin E, a fat-soluble vitamin. 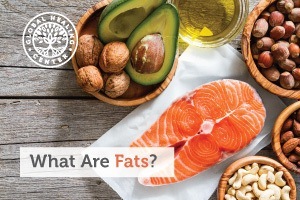 Polyunsaturated fatty acids, also referred to as PUFAs, are the predominant fats in fish (such as salmon), vegetable oils, and some nuts and seeds. Omega-6 and omega-3 fatty acids are polyunsaturated and cannot be synthesized by the body. The general agreement is that most people should consume more omega-3 and less omega-6 fatty acids to reduce the risk of developing the diet-related chronic diseases that plague Western societies. Omega-3 fatty acids can help slow the development of arterial plaque, reduce triglycerides, and reduce the risk of arrhythmia. Low-density lipoproteins (LDL): “bad” cholesterol, the primary source of your body’s cholesterol. High levels of LDL in the blood can lead to atherosclerosis and increase your risk of heart disease and stroke. LDL’s purpose is to carry cholesterol to the cells which can build up in the walls of your arteries. High-density lipoproteins (HDL): “good” cholesterol that carries cholesterol away from your cells and blood vessel walls to your liver to be removed from the body. Triglycerides: the free fatty acids transported in the blood and used as energy. A combination of high triglycerides, low HDL, and high LDL can increase your risk for heart attack or stroke. Experts recommend a total cholesterol level below 200 mg/dL. The following chart describes the different categories cholesterol levels fall within. To keep your cholesterol levels in check, I strongly recommend a raw food diet. Vegetarians typically have significantly lower cholesterol levels than omnivores, and vegans usually have the lowest. If a raw food diet is not realistic for you, do your best to avoid processed foods and eat a lot of leafy greens, healthy nuts, and vegetable oils such as flaxseed. Look out for partially hydrogenated oils on your nutrition labels; even if a package says “0 grams of trans fat” it can still have up to 0.5 g of trans fats in every serving. Try to reduce or eliminate your consumption of saturated fat and cook with extra virgin olive oil. One of the most delicious ways to regularly cleanse your body of excess cholesterol is to eat more fiber. Research indicates bile acids, which are synthesized from cholesterol, bind to soluble fiber in the intestines. This bound bile is later eliminated from the colon, and more cholesterol must be pulled from the blood to synthesize more bile. Eat foods high in soluble fiber such as oats, whole grains, beans, and citrus fruits to lower your cholesterol. Fats are an essential part of a healthy diet, but be mindful of what you're consuming. Do you have any insight into dietary fats? Leave a comment below and share. "Dietary Fats." U.S National Library of Medicine. U.S. National Library of Medicine, n.d. Web. 21 July 2016. "Chapter 1 Key Elements of Healthy Eating Patterns." A Closer Look Inside Healthy Eating Patterns. N.p., n.d. Web. 21 July 2016. Chen, Michael A. 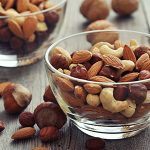 "Dietary Fats Explained: MedlinePlus Medical Encyclopedia." Dietary Fats Explained: MedlinePlus Medical Encyclopedia. N.p., 8 Dec. 2014. Web. 21 July 2016. "What Do Fats Do in the Body?" MedlinePlus. N.p., 2013. Web. 21 July 2016. Werner, Anniek. "Fat Absorption and Lipid Metabolism in Cholestasis." Fat Absorption and Lipid Metabolism in Cholestasis. U.S. National Library of Medicine, n.d. Web. 21 July 2016. Dawson-Hughes, B. "Dietary Fat Increases Vitamin D-3 Absorption." National Center for Biotechnology Information. U.S. National Library of Medicine, 11 Feb. 2015. Web. 21 July 2016. Bijlani, RL. Fundamentals of Physiology: A Textbook for Nursing Students. New Delhi: Jaypee Brothers Medical, 2001. Web. 21 July 2016. 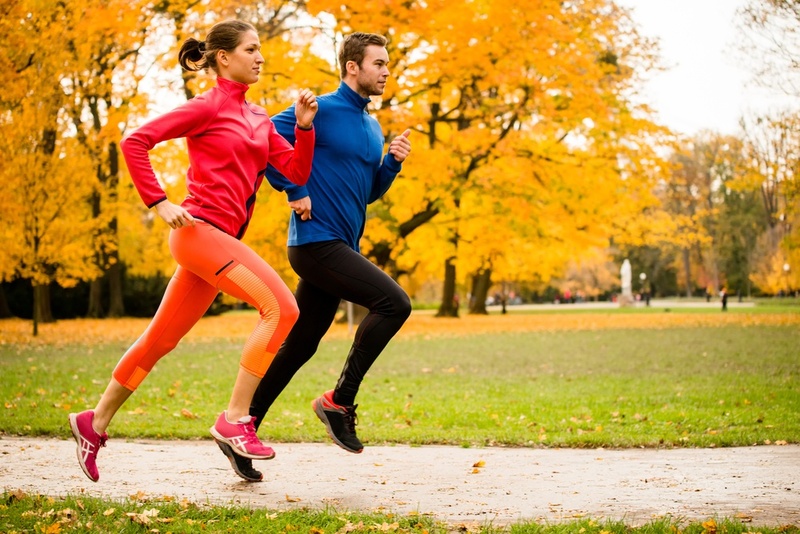 "Timing Is Everything: Why the Duration and Order of Your Exercise Matters." Rust, Elizabeth. University of Michigan. N.p., n.d. Web. 17 Oct. 2005. "Dietary Guidelines 2015-2020. Chapter 1 Key Elements of Healthy Eating Patterns." A Closer Look Inside Healthy Eating Patterns. N.p., 2015. Web. 21 July 2016. Commissioner, Office of the. “FDA Cuts Trans Fat in Processed Food.” FDA.gov. Office of the Commissioner, 29 Apr. 2016. Web. 27 July 2016. Talking about Trans fat: What you need to know. Center for Food Safety and Applied Nutrition, 22 May 2016. Web. 22 July 2016. 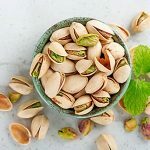 "Facts about Monounsaturated Fats: MedlinePlus Medical Encyclopedia." U.S National Library of Medicine. U.S. National Library of Medicine, 18 May 2014. Web. 21 July 2016. “Saturated fat.” Dugdale, David C, et al. 21 Mar. 2009. Web. 22 July 2016. “Chocolate and Prevention of Cardiovascular Disease: A Systematic Review.” 3. Ding, Eric L, et al. Web. 22 July 2016. “Heart disease and diet.” Wax, Emily, et al. 25 Apr. 2015. Web. 22 July 2016. “Monounsaturated fats.” American Heart Association. July 2015. Web. 19 Aug. 2016. “Essential fatty acids.” oregonstate.edu. 25 Apr. 2015. Web. 22 July 2016. Omega-3 fatty acids and health. (2005, October 28). Retrieved July 22, 2016. “Facts about polyunsaturated fats: MedlinePlus medical encyclopedia.” Medicine Plus. 18 May 2014. Web. 22 July 2016. ‘LDL and HDL: “Bad” and “Good” cholesterol’. CDC. (2015, March 16). Retrieved July 22, 2016. “A Study of Vegetarian Diet and Cholesterol and Triglycerides Levels.” Retrieved July 22, 2016, from Worldwide Journals. “Talking about Trans fat: What you need to know.” FDA.gov. Center for Food Safety and Applied Nutrition, 22 May 2016. Web. 22 July 2016. The Regents of the University of California. Facts of Fiber. N.p. : UCLA, 2005. Web. 22 July 2016. Publications, Harvard Health. 11 foods that lower cholesterol - Harvard health. Harvard Health, 7 July 2016. Web. 22 July 2016.